Commercial developments are on the rise across the UK however architects and contractors are always looking for ways to achieve building efficiency and provide affordable power. Solar answers both of these questions at a very affordable cost within the build programme. Why should contractors consider solar power for new builds? Solar is an unobtrusive technology that can form part of the building design from day one without affecting the design. It is also relatively easy to install technology that can allow the construction programme to progress without additional time delay. The construction of new buildings has come a long way in recent years. New technologies have made it incredibly simple to design buildings that are extremely stylish while still being energy efficient. By working alongside contractors and architects, Custom Solar has a proven track record in installing solar panels for new builds. Contractors will be familiar with the challenges of designing a new build. Since 1995, all new builds have been required to obtain a Standard Assessment Procedure (SAP) rating under Part L of the UK’s building regulations. The UK government’s only approved the system for assessing the energy efficiency of a new home, the SAP rating is incredibly important as without it the property cannot be let or marketed for sale. Contractors are able to apply a number of modern design principles to maximise the energy efficiency of their home. The inclusion of large windows is a common feature of new builds, as the higher levels of natural light help to reduce the need for artificial lighting. Likewise, kitchens and bathrooms are often placed close to the hot water source to minimise heat loss as water travels to taps and appliances. However, while these strategies can improve a new build’s SAP rating contractors often miss out on the more lucrative ratings for energy efficiency by installing Gas Grid heating systems. Given rising energy prices and the catastrophic effects that fossil fuels have on the environment, both the government and UK residents are increasingly looking to buy homes powered by renewable energies. 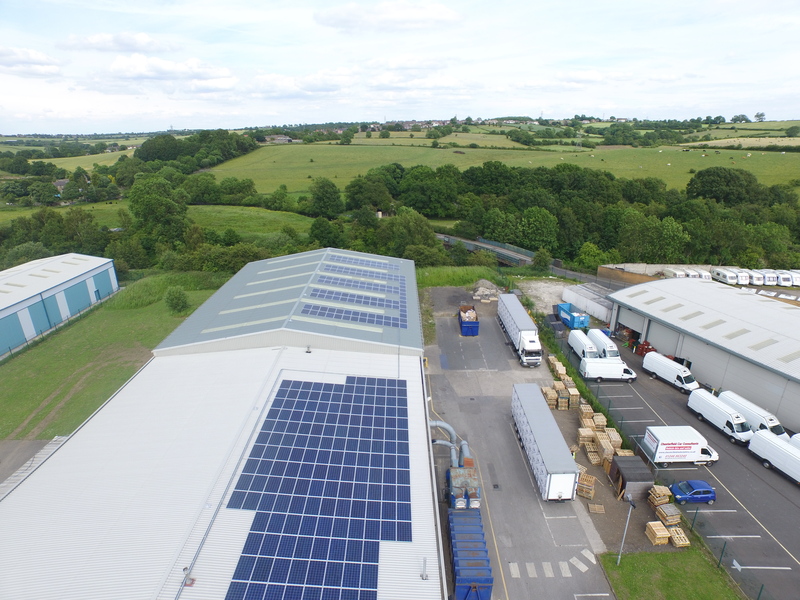 Having solar panels on new builds is a simple solution to this problem and contractors can benefit from the green credentials of earning the highest levels of SAP ratings. One major advantage of installing solar panels for new builds is avoiding the expensive process of replacing traditional electrical systems. Contractors can install solar panels at very reasonable costs, making sure that new homes can still be marketed for sale or let at affordable prices. Moreover, solar panels are an extremely attractive feature for homeowners, as energy independence and reduced electricity bills will help many stays on top of mortgage payments. If you would like to find out more information about the investment in solar on new builds then please contact us today where one of our experts will be able to help you.